A new voice for electronic music. 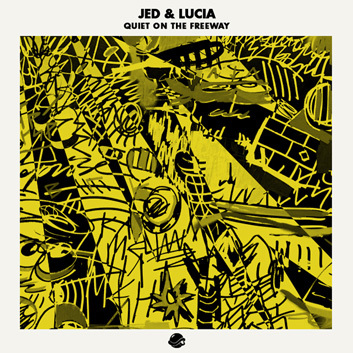 Jed and Lucia are the Northern California duo of Mark Reveley and Emma Lucia. Together they create heavily sedated electronic folk that instantly brings to mind groups like Zero 7, Boards of Canada or The Bird and The Bee. Mark and Emma started making music together in 1995, playing together in various groups until starting Jed and Lucia in 2005. Superhuman Heart, their sophomore LP, was released in 2010 and one of the year’s under the radar gems. Built around the duo’s folk guitars and ‘60s style harmonies, the album hinted at a new direction for the group. Experimental atmospheres and beats covered the album, but it wasn’t until Reveley heard his music remixed by up-and-coming electronic producer, Shlohmo, that he was inspired to take his sound elsewhere. Reveley went back in the studio and remixed two of his own tracks from Superhuman Heart, coming out with more aggressive, beat driven productions and a new song, “Helium”, showcasing a new evolution for the duo. These tracks have all been compiled on their new EP, Helium, with an added remix from BTS favorites, Letherette. For this guest mix, Jed and Lucia span through current influences and favorites in a podcast that may very well be a BTS essential. As an added bonus, you’ll also hear glimpses of our upcoming BTS x Record Store Day 12’’ release.